Today, on my 12th wedding anniversary, I have a present for *you* with a quick little card making process video. 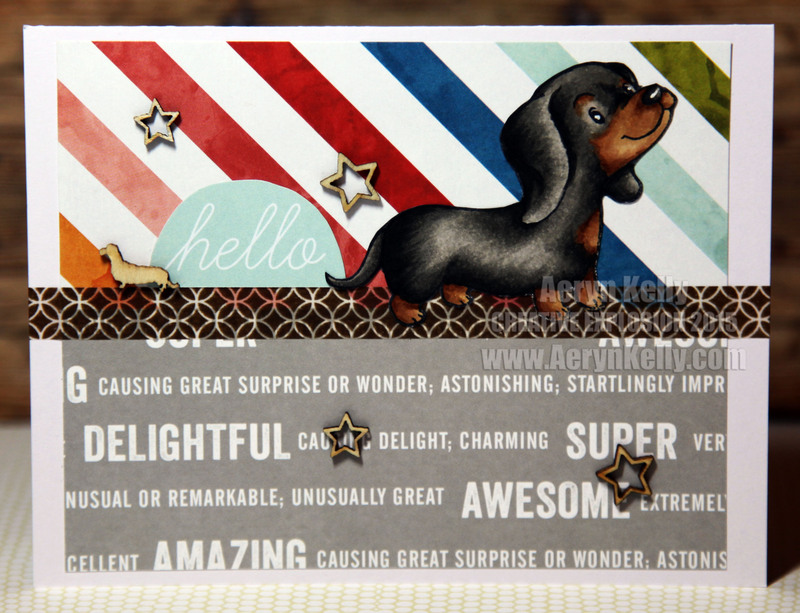 Since I coloured up two little Dachshunds for the last colouring video I made I had to make them into cards. This is the first one up. I tried out the whole thing where you fast forward and play a bit of music, so I hope it's all right. It made it super short, but I honestly could not think of any babble for this card. It's clean and simple so not a whole lot to explain. And here's the card itself, close up, so you can see it. I hope you like it, and the video, and have a great day!